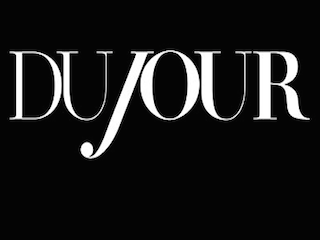 DuJour has promoted three staffers. Details are below. Sydney Wasserman has been promoted from senior market editor to market director. Wasserman joined DuJour in 2012 after spending two years with Elle as a fashion and shopping editor. Natalia de Ory has been promoted from associate editor to managing editor. De Ory previously worked for People En Español, from 2005 to 2012. Paul Frederick has been promoted from assistant fashion market editor to fashion market editor. Like Wasserman, Frederick is an Elle alumni. He worked for the magazine as a freelance fashion assistant before joining DuJour in 2012.